Philipp Reiter – new kid on the block? Just days before the 2013 edition of the TNF Transgrancanraia on the island of Gran Canaria, I spent several days with Ryan Sandes, Julia Bottger and Philipp Reiter. Philipp had literally just come of his skis and had hardly run for 3 months. In the 83km race he lined up against a strong field and by the time the race was over he had taken the 2nd spot on the podium behind Ryan Sandes, once again proving that his incredible 2012 was no accident. IC: I am joined by, ‘wonder kid’ Philipp Reiter. IC: We went out on the trails yesterday and you immediately flew off. You were like a rabbit in headlights. For the last 2-3 months you have done no running. 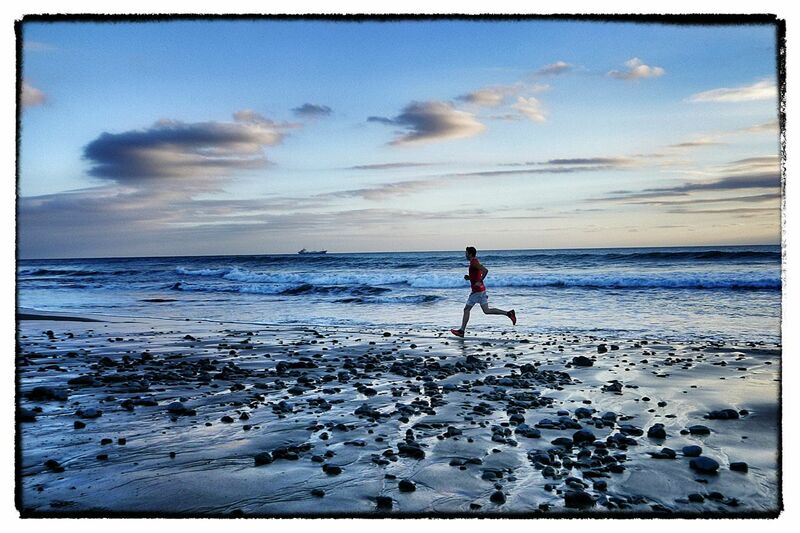 What is it that enables you to step off skis and start running as though you have never stopped? PR: Yes you are right. I can step of skis and run immediately. You must remember that ski mountaineering is hard work and I do plenty of ascents so I am fit. If you stay fit in all kinds of sports then it’s not such a problem. Actually, it is good to have a break. I am keen and eager to run now. IC: I get asked a lot about how significant skiing and ski mountaineering is in the winter. For example, Emelie Forsberg, Kilian Jornet, Nuria Picas and so on all put run shoes away for the winter months. What are the real benefits that it gives your running? PR: It’s a different movement but it’s not as different as cycling for example. We do lots of elevation and that is great for fitness. As you say a break is good, as much for the mind as the body. Maybe it’s not as different as we think. IC: What lies ahead in 2013 for you? 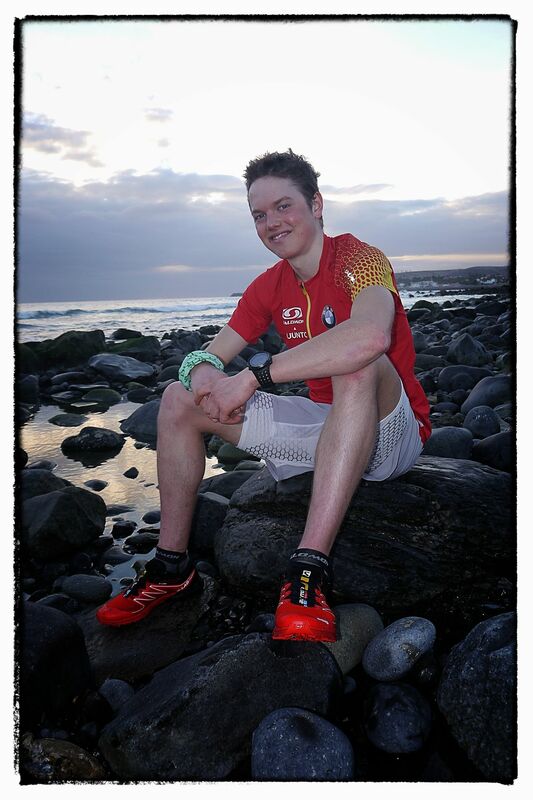 PR: I have Transvulcania La Palma in May and then I have a German race to do, the Zugspitze. 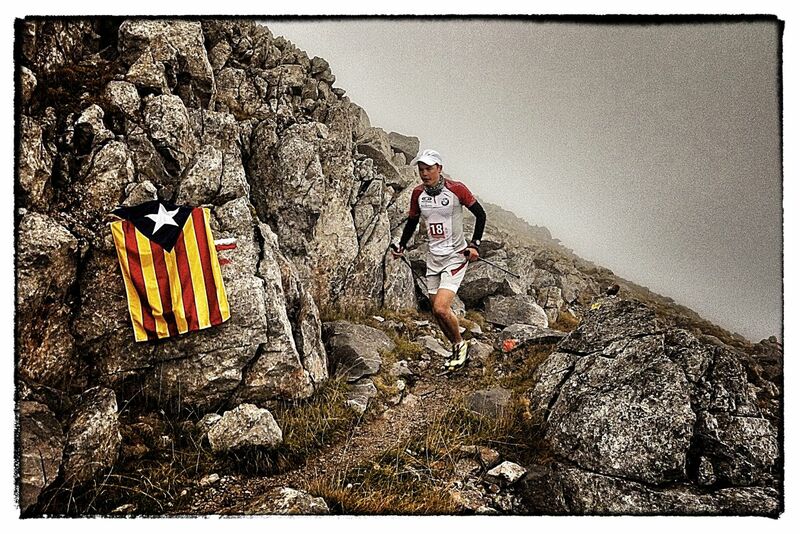 I will attempt the Skyrunning series but not Andorra. That is much too long for me. I will also not do UROC. I think my highlight this year will be the Transalpine. I like the west route and it will be beautiful. They have changed some stage villages so we have 3 or 4 new stages. IC: You mention Transvulcania. The 2012 edition was one of the highlights of the race year, it gad a stacked field. This year’s race again has an incredible field. In 2012 you had a difficult race at La Palma. Relatively early on you had issues with your leg but you soldiered on and still managed a top 20 finish. You crossed the line with Joe Grant. What is your mindset for 2013? You have made big improvements in the last 12 months; you must be looking forward to this year’s edition. PR: Yes I had a big problem in 2012. I wanted to stop after 20km. I don’t know how I finished. It’s a big mystery. I have no real idea what happened. I had to sit down and I had tears. It was very unusual. But I pushed on and achieved a finish, so if I can get through the race like this then I am optimistic for 2013. Mentally I am strong. I am now sure that whatever comes my way I have the ability to push on. Also, running Transalpine in 2012 with Iker Karrera made me much stronger. I am no longer the new kid on the blog! 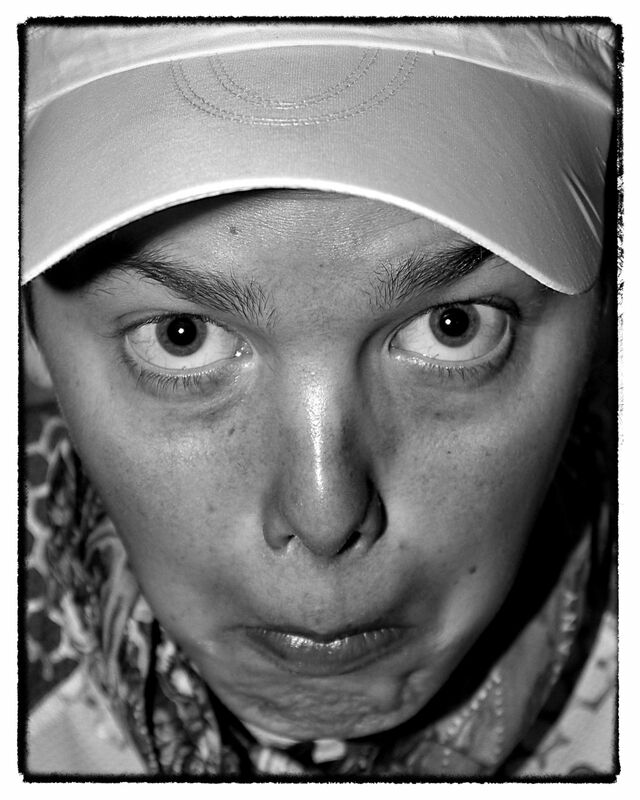 IC: 2012 was a year that I feel ultra running changed. I think Transvulcania was instrumental in this. The level of quality on a start line changed so many things. But I also feel the emergence of your self and Emelie Forsberg was significant. You personally had so many great results. Can you recap? PR: I won Super Trail and I beat my own course record. I wanted to keep less than 7 hours and I did it. I then won Salomon 4 Trails and I beat Francois d’Haene and Thomas Lorblanchet. It was a great result. I won by 2 minutes over a 4-day stage race. It was incredible. 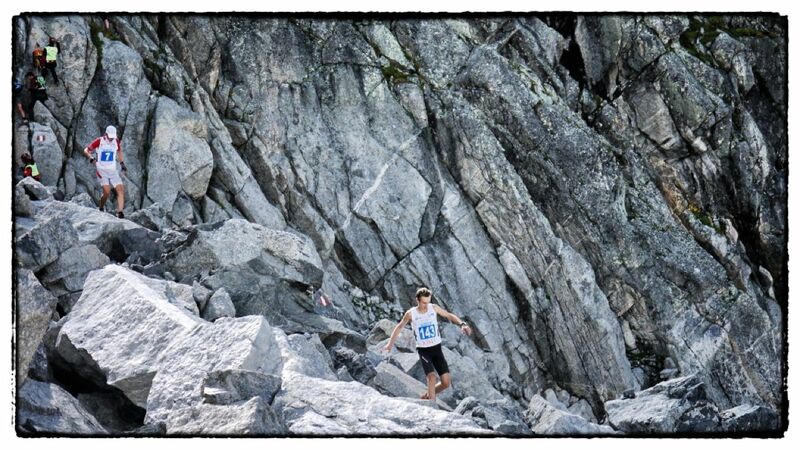 In the Skyrunning ultra series I was 3rd overall against some of the best runners in the world. That was behind Kilian Jornet and Andy Symonds. Also at Cavalls del Vent I was freezing for 7 hours out of 10 but I did not give up. I gained so much mental strength. Anything is possible. You just have to force yourself to go on and not give up. But the best result was the win with Iker Karrera at Transalpine. I wasn’t prepared for Transalpine. I was actually in Chamonix to watch TNF UTMB. The course got changed and Iker decided not to run. He said “do you want to start Transalpine with me tomorrow” I said, “yes of course”. We left and drove through the night. We arrived at midnight and then had to start the next morning. We had no time to get excited. IC: That was crazy. I remember it well. The announcement came that the course was changed and then runners like Julien Chorier pulled out and decided to run the GR20 and then I heard that Iker, who had really focused on UTMB just thought I am not running a short distance and as you say, Transalpine was the alternative. I know you are only 21, if I think back to 21, that’s a long time… I remember that I had no fear. Do you feel that is your situation? Do you think, if I am given an opportunity I am going to say yes, because what is the worse that can happen. PR: I definitely think lets just give it a go. As you say, I am 21 years old so if it doesn’t go well I can always go back and try again. IC: When we talk about the runners you race against and the calendar you raced last year. You personally have such great potential ahead of you. 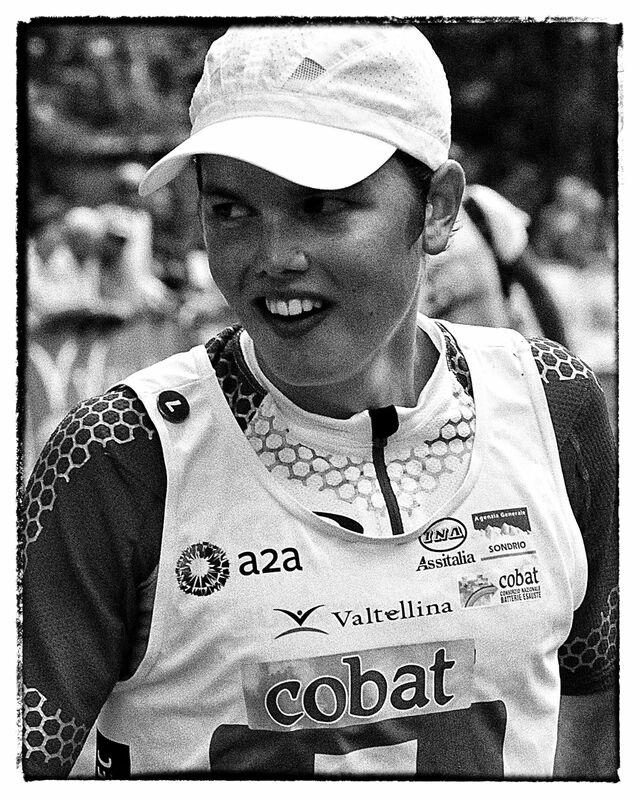 I have said many times that I think you and Emelie are the future stars of the sport. You will lead the direction of the sport. Does that put a weight on your shoulders? Salomon as a sponsor, do they put pressure on you? PR: I have no direct pressure on me from Salomon. It is more that I need to act professionally. It sort of happened without me realizing. For example, I love running, I would run anyway but I used to run and nobody would be interested but now I run and people want photographs and autographs. I need to be professional at all times. I literally could spend 2 hours each evening just answering emails. But that is the package and I accept it. I am very fortunate. I do ask myself do I really want it but then again, I guess I have no option now. I started my own website and then I think, do I really want it! IC: Yes, we discussed this over dinner last night, the topic of social media. Yes, I am partially to blame. It’s my job to interview, chat, photograph and then distribute it. It benefits you, it benefits the races, it benefits the sponsors, and it is a complete package. But ultimately it has far more pluses than negatives. Do you ever think we will reach a point were things revert, or do you now see that your future lies in running? PR: I would say at the moment that my studying has nothing to do with sport. I want to be a teacher of mathematics and biology. I will have training away from sport so I have options. I want to have a difference between a hobby, which is now becoming professional and my job afterwards. I post of Facebook and I write on my blog. I enjoy that. It is about me showing and sharing my experiences. I see myself as a speaker for the sport. It’s also funny. I get some great responses, I have funny comments and I love to have fun too and make the most of what I have. I like to create stories too such as running a vertical k indoors by running up and down stairs of a business premises. I like to create ideas. IC: You almost seem to never take your self too seriously. For example, if I point a camera at you, you pull a funny face and smile. But the other side of that is that you are also very serious and precise. You have a duality to your personality. Do you find the balance comes easy? PR: Training you have to be strict. I think the biggest lie would be that I think it is always fun… it’s not, sometimes I really do need to motivate myself to train. I have to talk to myself some days and force myself out of the door. You have to be focused and disciplined. I have no short cuts. You must put the time in and work hard. Natural ability helps but you must work and work hard. I have my fun side and I like to balance my hard work with fun. All work with no play is no fun at all. We don’t do this sport to get rich. We do it because we love it. We would run and be in completion without the professional side, it is also about meeting people and spending time with people I like such as Ryan Sandes, Julia Bottger, Miguel Heras and Emelie Forsberg. I really remember these special moments. I have met people from all over the world. I am very lucky. IC: You mentioned you are not in the sport for money. I think that pretty much every elite ultra runner that I have interviewed has said the same thing. You have all come into the sport because of a passion. But it is changing; several races have big prize money. For example, $10,000 first prize, will that change the sport and do you think it will become more common. PR: I’m not sure. Money changes sport for sure. I don’t know, I don’t have an answer for that. IC: I don’t think any of us know. I guess that is why we ask the question. Certainly we don’t want running or should I say ultra running to follow cycling. That would be a disaster. I don’t think we have any issues at the moment in our sport but you do have to think of the responsibility that we all have in the sport of controlling it. For example lets say I could give you two race options. A bucket list race with no prize money and a race you don’t like but with big prize money that you have a very good chance to win. Which would you choose? PR: (laughs) Yes, I think I would choose the race with the money. I guess it’s a sad thing but we all need money. IC: Without doubt we need money to survive and money is not always available in our sport so it does make sense that financial demands have a decision in your race choice. When did you get into the sport Philipp, what did you do pre 2012? PR: I have not been trail running very long. I came from ski mountaineering background. I started when I was about 14 yrs or 15yrs old. I had seen an advert for a race near my home and I asked my parents could I take part. They said of course but that I would need to train. I wasn’t sure I wanted to train but I thought, why not, lets give it a go. I managed to perform okay in a relatively small field and then I became addicted. I enjoyed it so much. Especially going to the bakery after the training sessions, it was a good motivation. I guess it was like a bribe. A local shop owner asked me if I wanted to do the next races for them. I thought I am trained now so I carried on. I made it to the National Team very quickly. That sounds impressive but not as impressive as you may think. During the off season I decided I needed to keep fit so I hiked with my poles and then one day I saw a guy running. I thought, okay, I will try that too! IC: What year was this? IC: So you see someone running and I guess 2010 was your first season running, the transformation has been so quick. Particularly on a world stage. You came to prominence in 2012 but you got Salomon German sponsorship based on your German results. PR: Yes, in 2010 it was my first year. I tool part in the Transalpine and my partner for the race was already in the Salomon team. Salomon sponsored Transalpine and they like the fact that I was so young. I even look younger than I actually I am so thy asked would I like to join the team. Wow I thought, usually I have to do the asking so of course I said yes! I got famous in Germany at Zugspitze. IC: So you progress in Germany and then you get onto the Salomon International team with Greg Vollet as a manager. We have spoken about Greg and his vision for the sport in the past. He definitely is a driving sport in the sport at the moment. Does he have a big involvement in your progression? PR: Yes, definitely. Greg says that we must create our own image. He helps me achieve what I want but in a very careful way. We talk about everything. I am never forced to race, I really like that. IC: So with the vision of Greg, Salomon as a sponsor and age on your side; what does the future hold for you? We spoke about Kilian in the past, he is only in his mid 20’s but he feels as though he has been around for decades because he has achieved so much. Do you see your progression as similar to Kilan’s and I remember you saying at Trofeo Kima that you said you want to ne Kilian, Do you still want to be him? PR: I want to beat him! (laughs) What he has achieved is amazing. I want to do it step by step. This year I will do my first 100k. Next year I may go longer and of course I want to run the big races like UTMB or Raid de la Reunion. I have so many options ahead of me. I am just 21 so I don’t want to do too many things too soon. I want goals for the future. IC: You have an old head on a young body. It’s great that you are patient and looking long term. Kilian had his bucket list and it is now pretty much ticked of. Do you have a list that you are building and when that list is ticked of, do you think you will move into a new realm like Kilian with his ‘Summits’? PR: I don’t know. I have no idea what the future holds. As long as I am enjoying it and having fun I will continue. A day just has 24 hours. I have to study, I have sport and work but I have many things I would like to do that I don’t have time for. When I have achieved my goals, for sure I will continue with sport but I also want to be a father, I want a family. IC: Philipp it’s been a pleasure speaking to you. It’s always fun. I’d like to wish you all the very best for 2013. It’s going to be a great year ahead. 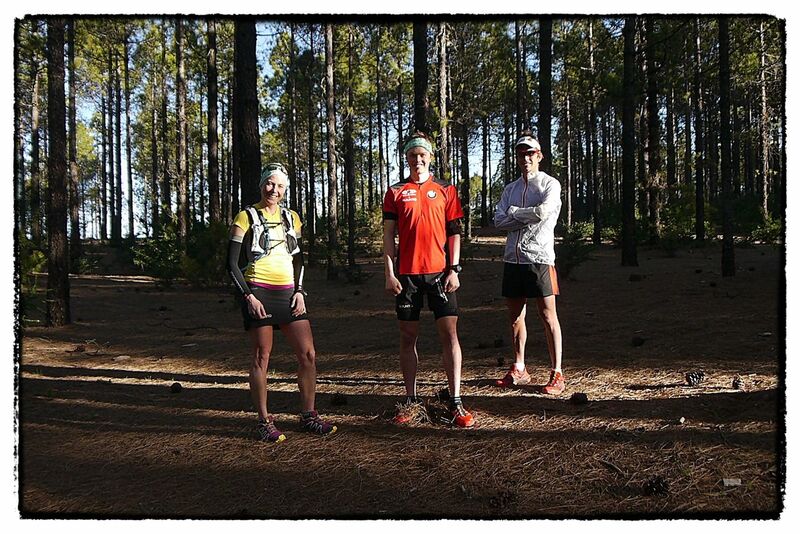 I can’t wait for Transvulcania La Palma. PR: Thank you. It has been great fun. This entry was posted in Uncategorized and tagged Andy Symonds, Cavalls del Vent, Chamonix, Francois d’Haene, Gran Canaria, grancanaria, Greg Vollet, Iker Karrera, ISF, Kilian Jornet Emelie Forsberg, Philipp Reiter, philippreiter, Salomon, Salomon 4 Trails, Salomon Running, salomonrunning, Sky Ultra, Skymarathon, Skyrunning, skyultra, TNF Trans Grancanraia, tnftransgrancanaria, Transalpine, Transvulcania by talkultra. Bookmark the permalink.